In-vitro fertilization, or IVF, is one of the assisted reproductive technologies (ART) used to treat infertility. It is the process of fertilizing an egg with sperm in a dish before inserting into the uterus. Often the woman has to take hormone injections on a schedule to ensure her eggs are mature and ready to be fertilized at the time of retrieval. This is the basic definition of IVF, but the lack of understanding about the treatment causes many myths to float around. It is time to myth-bust common beliefs about IVF! Absolutely not! IVF is one of the many options couples have after they learn they cannot conceive traditionally. There are other types of ART treatments as well including using an egg donor, sperm donor or surrogate. While I wish this myth were true, IVF is not covered by the majority of insurance providers. Specific companies will cover parts of IVF at various stages, but it depends on the carrier to determine exactly what is covered. The good news is that 15 states require infertility benefits to be covered by insurers. However, even within those states, exactly what is covered is going to vary by each company. A single IVF cycle can easily cost more than $15,000, adding more stress to the possibility of it failing. Technically, IVF does the opposite of increase infertility. The hormones that are taken early in the cycle are made to stop a woman’s natural fertility process. Then the next round of hormones synthetically amplifies egg production and maturity. The process works like this because doctors want to essentially delete the natural fertility cycle that is not working and create a synthetic cycle that works at optimal levels. Many women feel like they have lost control of their bodies when they have to hand the natural conception process over to a team of doctors. But there are many ways women can take back control of their bodies. Asking your doctor questions about the process and things you can do to be emotionally and physically healthy will give you control over your body. A fertility diet is another way you may be able to influence the success of IVF as well as pairing high-tech medical treatments with less traditional approaches such as acupuncture. This is a very common myth. People assume that since women are being injected with hormones that are not naturally occurring, their emotions are uncontrollable. In reality, the hormones are packed with estrogen which can actually make women a little bit happier. But the roller coaster of emotions that most women experience when going through infertility treatments is actually due to the stress and worry about the success of each cycle. It has nothing to do with the hormone injections, but rather the rigors of the process. 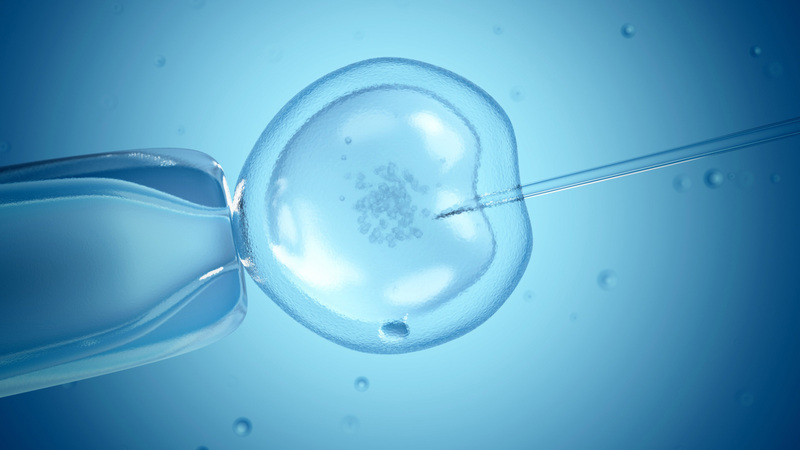 The many myths circulating around IVF can discourage a woman from trying it. These myths also cause misunderstanding about the treatments from people close to those going through it. Sharing debunked myths about IVF can help raise awareness and make the process easier for those involved. Bio: Nicole Witt is the creator of Beyond Infertility, a community support site and online magazine geared towards families who have gone through infertility. You can visit the website at BeyondInfertility.com. She is also the owner of The Adoption Consultancy.